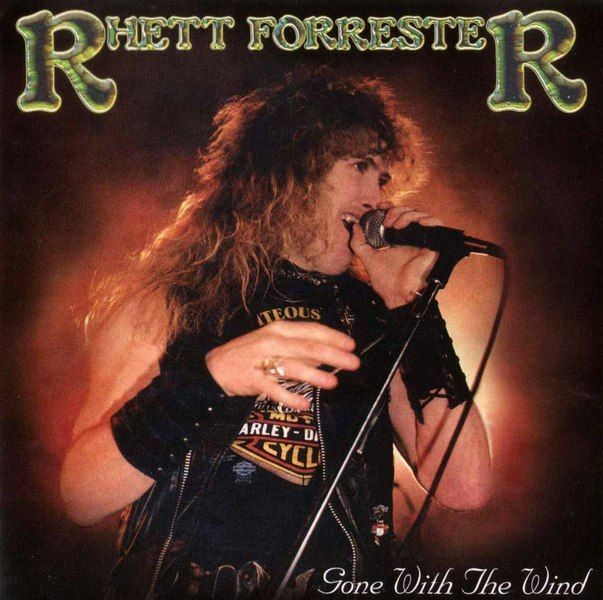 Rhett Forrester (September 22, 1956, Tucker, Georgia – January 22, 1994, Atlanta, Georgia) was an American musician and the lead singer of New York-based band Riot from 1981 until 1984.After Riot, he performed on Jack Starr's Out of the Darkness album (1984) and put out two solo releases: "Gone With the Wind" and "Even the Score". "Assume The Position", his most notable solo song, featured an explicit video.Forrester was shot and killed in Atlanta at age 37 after he refused to give up his vehicle in an attempted carjacking. This crime has not been solved. 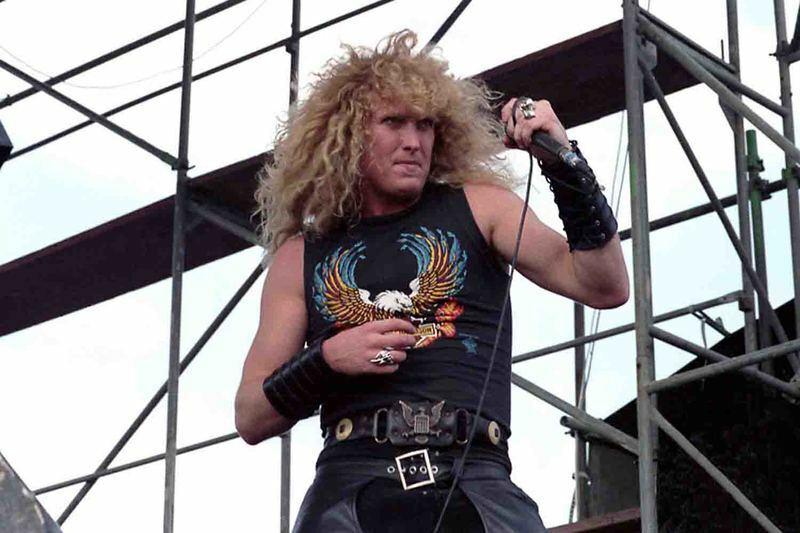 He was survived by his mother Lafortune Forrester, his brother (guitarist Lucky Forrester),his ex(Windi Grace) and a daughter (Jade Grace) and his fiance, Lori Plester, whom he was living with at the time.During 1985, Forrester performed in the collaboration Thrasher project (on Combat Records), singing "Bad Boys", on the album "Burning At the Speed of Light". He also recorded an album with ex-Keel Brian Jay's band "Dogbone".At the beginning of the 1990s, Forrester played with the Canadian band Black Symphony With Rick Plester and with Alex Masi but no material was produced other than unpublished demo tapes.Rare material, mainly from the projects Mr. Dirty featuring Forrester, Rob Robbins, (guitar) Scot Gains, (bass/songwriter) Ray Mehlbaum,(Drums) and Dr. Dirty, was released, in 1996, in the memorial CD Hell or Highwater.In 1996, Forrester was inducted into Atlanta's Hard Rock Cafe.Forrester was shot and killed at a Northwest Atlanta intersection on the corner of Lovejoy and Merrit off Techwood Drive after he refused to give up his vehicle in an attempted carjacking; he was 37 years old. The crime remained unsolved for some time. He was survived by his mother Lafortune Forrester, his brother, guitarist Lucky Forrester, his ex, Windi Grace, daughter, Jade Grace, and his fiance, Lori Plester, whom he was living with at the time.One person (who apparently pulled trigger) was killed and another was arrested for other crimes, finally admitting to being at the scene of Forrester's death, among other murders. 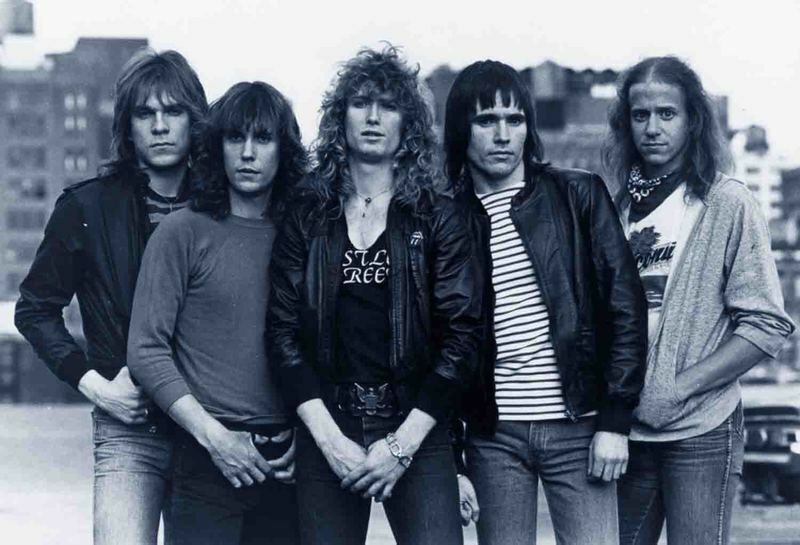 After the demise of Riot, Forrester teamed with former Virgin Steele guitarist Jack Starr and appeared on his 1984 solo album, Out of the Darkness, which featured The Rods rhythm section of Carl Canedy and Gary Bordonaro.This was also the line-up that traveled to France in the summer of 1984 for an appearance at the 2-day Breaking Sound Festival in Le Bourget, near Paris, on August 30. Erroneously billed as Virgin Steele in advance of the festival, they played just below headliners Dio and Blue Öyster Cult.With "Gone With The Wind" the solo debut of the former RIOT-singer (released on 1984, "Restless Breed", "Riot Live" and "Born In America") will be released on CD for the first time. Reinforced by the then rhythm section of the RODS (Gary Bordonaro on bass and drummer Carl Canedy, who also produced) used the originally started as a tour band by Jack Starr (who wanted to present his then current LP "Out Of The Darkness" at a festival in France) Team up with the guitar hero's "indisposition" to fill in the studio time reserved for the second JACK STARR album with the recordings for "Gone With The Wind". The investors were probably satisfied with the replacement at that time, but the first own attempts by Forrester never found a wider spread. Because unfortunately the staid songs rarely with the huge, slightly bluesy voice of 1994 shot at the age of only 37 years shot on the street shouters. As a further flaw, the electronic drums or the use of a drum computer unpleasant. On the plus side you have to mention the aggressive guitar work of Paul Kayen, who kicks the material as far forward as possible. 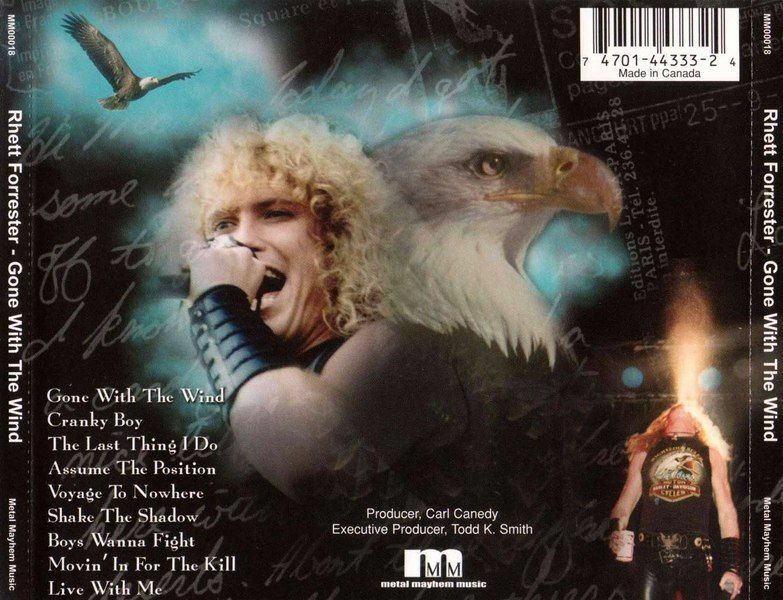 For RIOT fans and followers of melodic rock or metal "Gone With The Wind" may be recommended, everyone else should rather stick to RIOT's "Born In America". Forrester has never been able to fully exploit his huge potential. Návrat na "HARD ROCK, MELODIC ROCK, AOR, BLUES ROCK, GLAM, SLEAZE Rock"